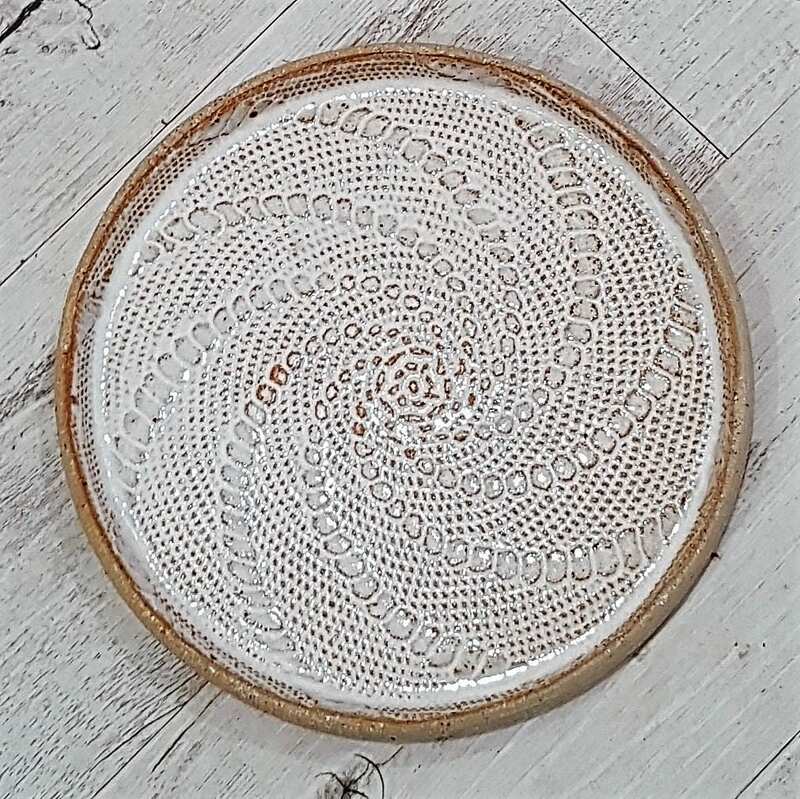 Stoneware plate with inlay lace pattern in white. This gorgeous piece has been handmade on the pottery wheel by Jo in her studio at the foothills of the Dandenong Ranges, Victoria. Fantastic for entertaining and perfect used as a serving plate for cake, biscuits or a cheese platter. This piece is oven, microwave and dishwasher safe. PLEASE NOTE: I DO NOT OFFER REFUNDS OR EXCHANGES FOR CHANGE OF MIND. PLEASE CHOOSE CAREFULLY. If you have any further questions about this listing please feel free to send me a message. To keep up to date with the latest news and events, follow @lillypillypottery on Instagram!